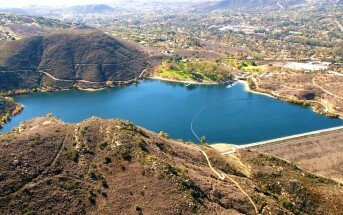 Lake Poway is a small, clear reservoir in Poway, CA about 30 miles northeast of downtown San Diego. 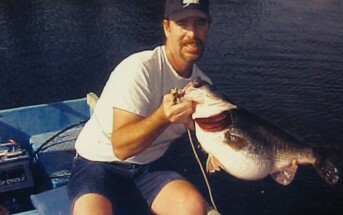 It is stocked heavily with rainbow trout in the winter months, and offers good fishing for bass, catfish, and bluegill in warmer months. The lake is deep and clear, with good shoreline accessibility. There is no launch ramp, and float tubes, canoes and kayaks are not permitted. Rental boats, including rowboats, motorboats, sailboats, and paddle boats are available through the concession. 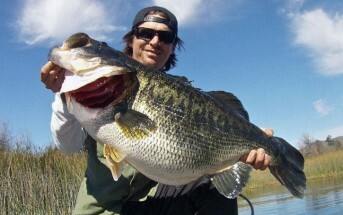 Bass are mandatory catch and release from March 1st through May 31st. 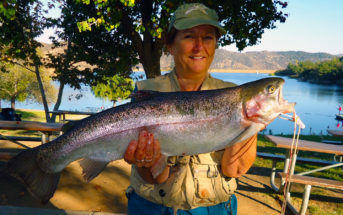 Lake Poway also maintains a 4 fish limit for trout per angler, per day. 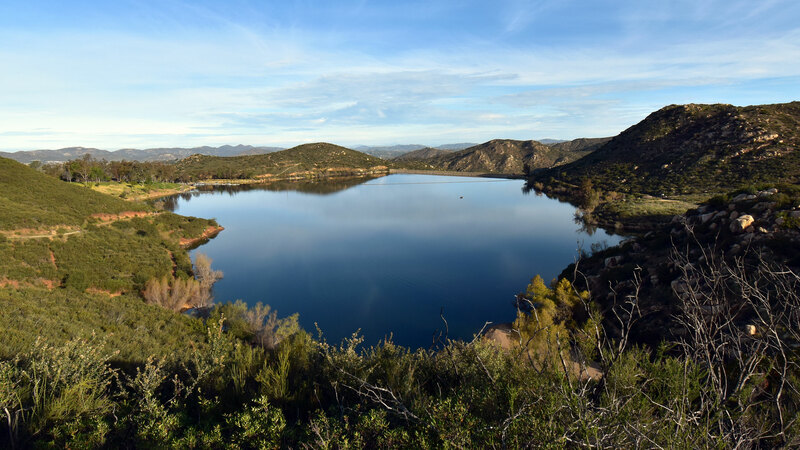 Lake Poway is located in the foothills surrounding the eastern side of the city of Poway at 14644 Lake Poway Rd., Poway, CA. 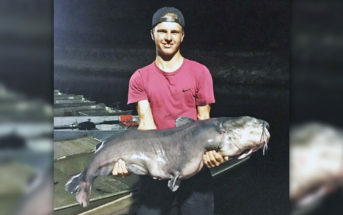 A well-stocked concession stand offers snacks, bait and basic fishing tackle. The lake sits inside the Lake Poway Recreation Area, which is loaded with other amenities. There are restrooms, barbecues, picnic tables, a softball field, volleyball court, and hiking trails. 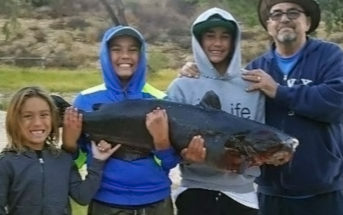 There is also a 900 square foot pavilion area for hosting large events, like the annual Lake Poway Youth Fishing Derby. The lake is open Wednesday through Sunday from sunrise to sunset. 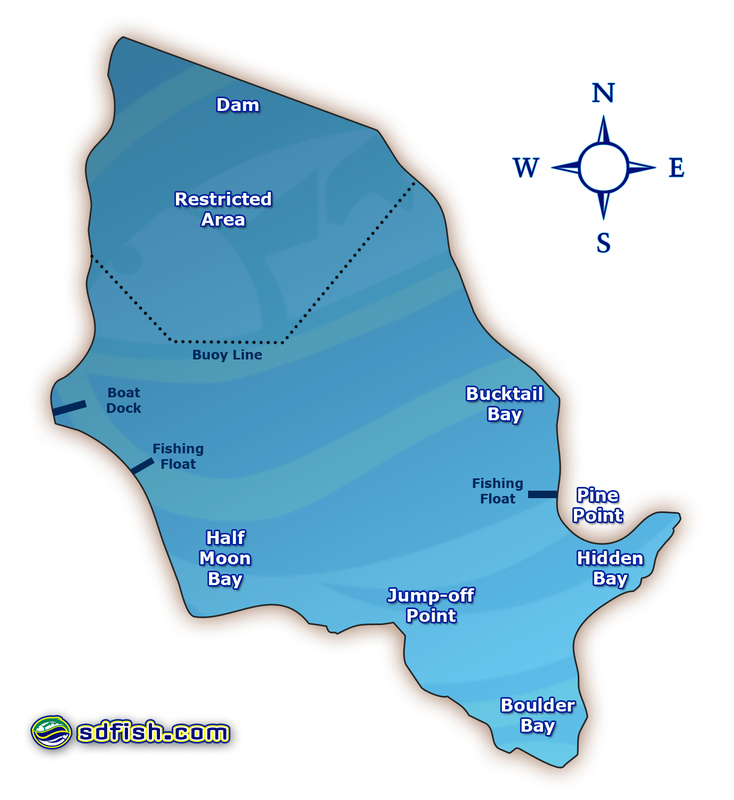 California Sport Fishing Licenses are not required to fish at Lake Poway, but daily fishing permits are (available at the concession). 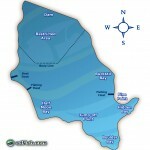 For current permit costs, visit our “Lake Permits and Fees” page.